Jade Grill is one of Superior’s top restaurants! We give thanks to our loyal customers and look forward to welcoming new visitors soon! Check out our posting on Trip Advisor. Welcome home Superior High School Class of ’62! Jade Grill was proud to welcome back Superior High School’s Class of 1962 for their 50th reunion! Everyone enjoyed the great food and had a good time seeing old friends again. Happy 50th SHS Class of ’62! The Jade Grill can cater your next event! Call us at (520) 689-2885. The Jade Grill welcomed Arizona Highways TV into the kitchen! Call us for catering events! 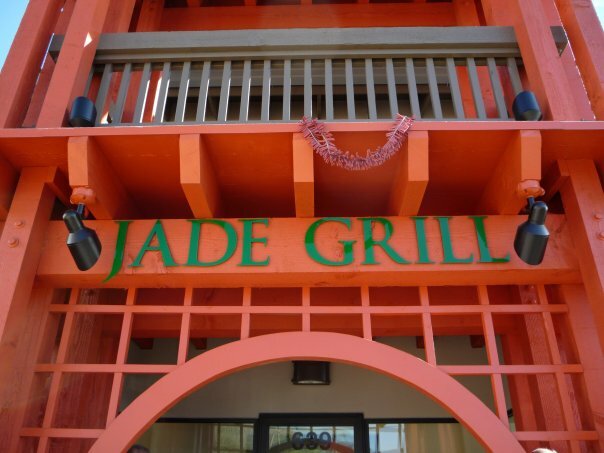 Check out Jade Grill on Yelp!